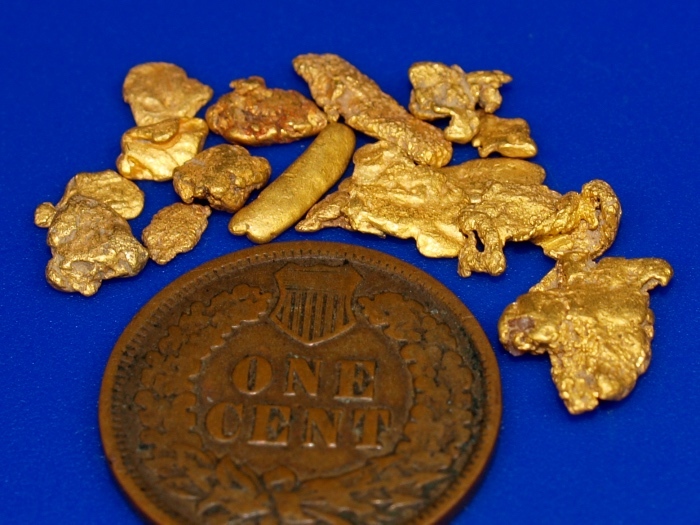 A group of natural gold nuggets from Pershing County, Nevada. 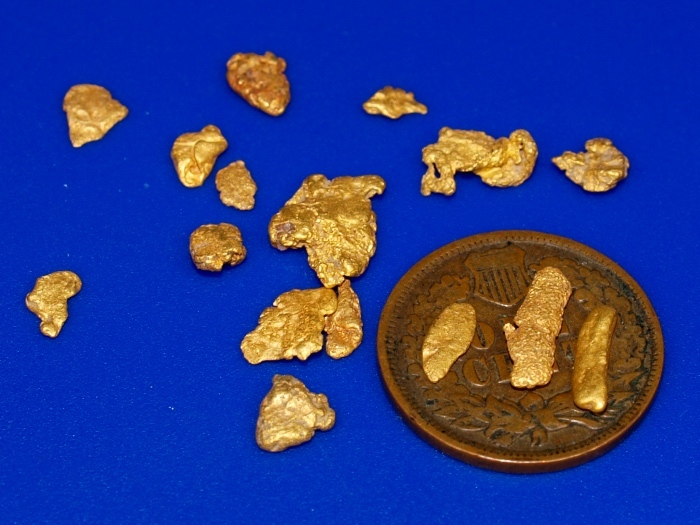 The were found with a metal detector in the Placeritas mining district. Their combined weight is 4.00 grams. 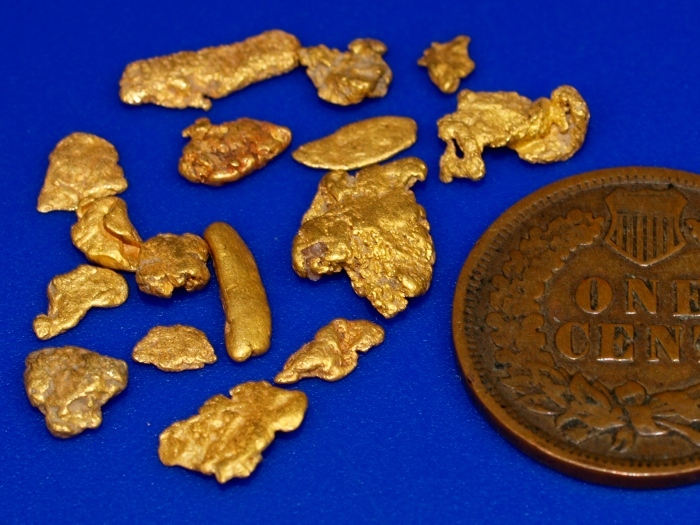 Very nice gold from an unusual location.